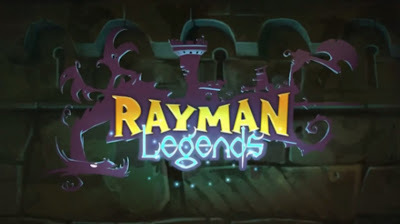 Apparently a trailer was leaked for Rayman Legends, what looks to be a sequel to origins but what's really interesting is that the game was being showcased on the upcoming Wii U! From the trailer, the game looks to use the same 2D adventure look from Rayman Origins, bringing back the Co Op characters as well. Along with this, the Wii U Touchscreen Controller was also featured showing one person controlling the environment, while the others controller the actual players on screen. There was also mention of actual online play along with social gaming and challenges. What's probably the most interesting part is the use of physical objects to enhance the game. Some of you may remember Skylanders by Activision, well the idea is the same here as you see the player place the crazy rabbids on to the controller in which they appear on screen! The video even teased far enough to include Ezio from Assassin's creed, however that's where we're cut off. With this I assume Ubisoft will mention something soon, however as we're so close to E3, we may not actually hear anything till then.